CosiMate is available through the Altair Partner Alliance. CosiMate’s open architecture enables engineers to connect an unlimited number of simulation environments together. 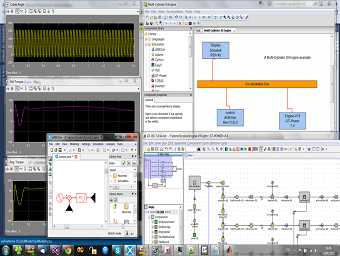 CosiMate can also be used as a test environment by integrating C/C++ debuggers or monitors into the cosimulation as well as Test & Measurement tools such as LabVIEW or LabWindows/CVI. Specialized tools such as CarSim which simulates and animates dynamic tests of cars and trucks can also be supported. CosiMate networked architecture is well adapted to the concept of multi-disciplinary development teams. 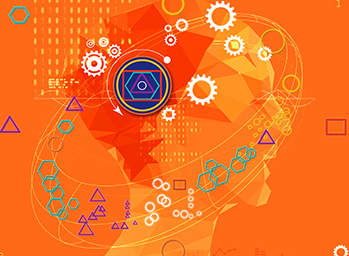 Because of its networked nature, CosiMate also supports the study of system behavior in a multitasking mode by partitioning the model and distributing the simulation of the various parts across several different machines. Another aspect of CosiMate is its ability to co-simulate a model at different levels of abstraction. This capability provides a complete environment to verify a non-regression of the model functionality along the design flow. CosiMate technology offers a solution to overcome the difficulty in simulating integrated, large-scale, dynamic systems. 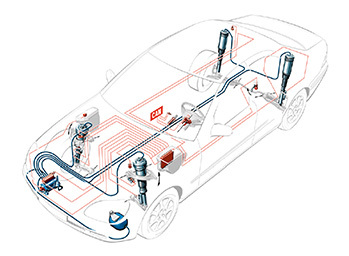 CosiMate is mainly used in automotive and aerospace industries. 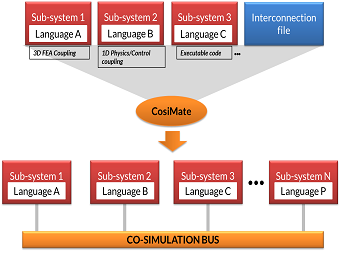 Big players like Airbus, Boeing, GM, PSA, Toyota, and others are customers using CosiMate's unique co-simulation bus-architecture in their daily operation.